It was the first family holiday I had been on since I was five. My entire childhood was spent travelling to and from Saudi Arabia to visit my Dad who lived and worked in Jeddah. Perhaps it was the Arabic influences which lead us to choose to travel to Turkey that, and the guaranteed heat in October half-term. During hours of searching hotels, my eldest sister Kate voiced her wishes; “I’ve done the whole travelling thing. This time I want everything to be organised for me. I want luxury”. There was only one hotel we all agreed on, The Paloma Club Sultan in Özdere. It was my sister Elaine’s priority on the first day to locate the Wellness and Spa Centre. Within ten minutes of breakfast she had booked a 30 minutes Anti-Stress Massage for the afternoon. I let her be the guinea pig and when she returned to the pool praising the masseuse, Kate and I followed suit. We were both lead down a harmonious corridor and into adjoining treatment rooms. My masseuse used his strength and skill to loosen knots on my back, neck, shoulders and legs. I left relaxed, smelling like a vanilla dream. 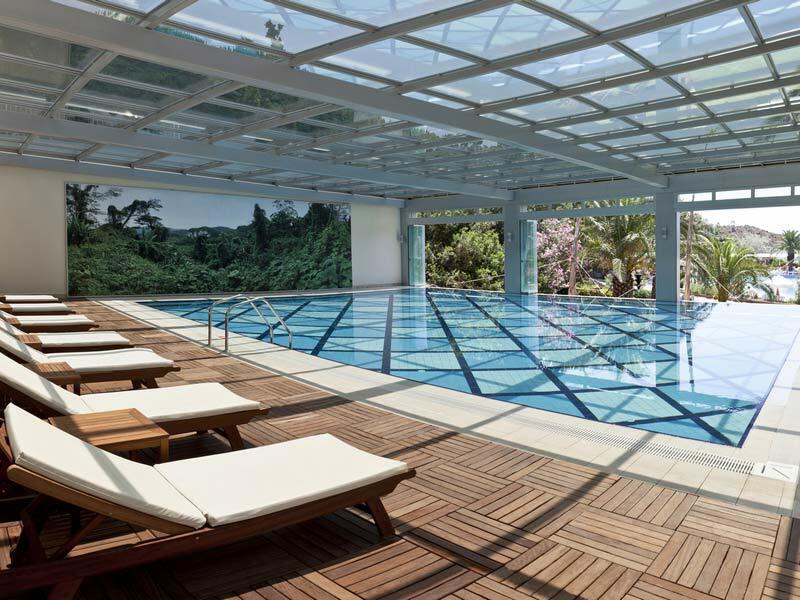 The Wellness and Spa centre is also equipped with a Turkish Hamam, Sauna, Indoor Heated Pool and Gym which are all included in the room fee. The Paloma Restaurant offers daily breakfast, lunch and dinner in a buffet format to all guests, with a sea view to boot. I was amazed at the choice, quality and variation of our meals. Breakfast was out of this world. Plates of seasonal fresh fruit and cheese stretched out for miles, omelettes were cooked to order and hot grilled pancakes with spicy apricot jam were a firm favourite. No matter what area of the resort we chose to spend our day, we were no more than a minute away from the nearest cafe or snack bar. On the third day, my Dad found two ladies baking delicious traditional spinach and cheese bread on a hot plate next to the water slides. He piled up a plate and brought it back to the beach. It was devoured in seconds. Luxury international cuisine is served for dinner in the Paloma Restaurant, as well as special themed nights such as ‘Seafood Night’ and ‘Turkish Night’. 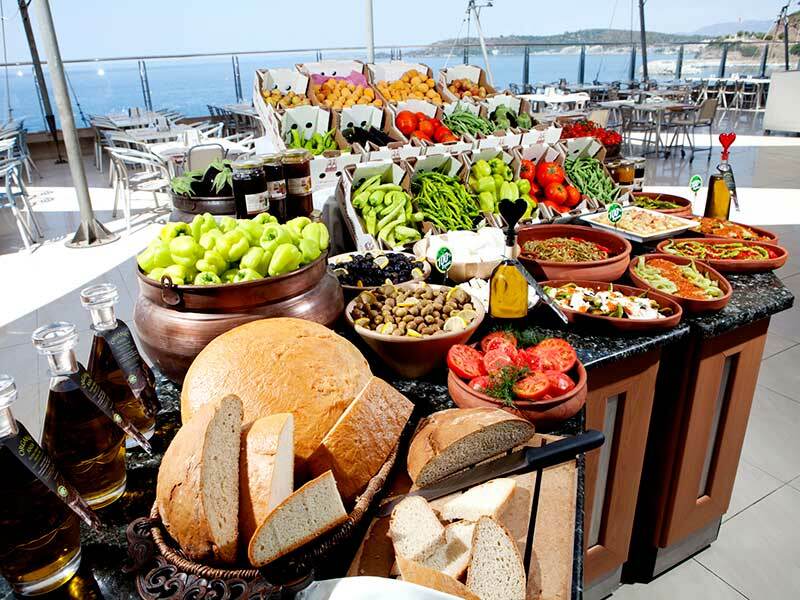 The resort has four A la Carte restaurants to choose from in the summer; Ada specialising in flavours of the sea; Seasons with an Italian theme; Barbeque offering an abundance of grilled meat; and Safran a Turkish and Ottoman restaurant. These are included in the price, but book early! Our time was spent equally between the Panoramic Infinity Pool, which offered spectacular views over the Aegean Sea, and the Harem Outdoor Pool, with lively music and fun activities throughout the day. But by far my favourite part of the resort was the water park. That’s right, Paloma Club Sultan has its own water park! Like most other theme parks out of season, not all the slides were open for business. We still had a good choice from 5 wiggly slides, a body slide, the combo and my particular favourite, the black hole. For younger children, the Aqua Tower houses a private splash world with slides and a multi level play area. Having not gone a full hour without eating or drinking, I decided to spend my final day swimming off the calories. The end of season caught up on us though. Clouds prevented the afternoon sun from topping up my tan. Would that stop me? This is a Paloma Hotel. What do you think? All three Watson sisters made a bee-line for the Heated Indoor Pool. I also spent an hour at a water aerobics and aqua spin class in this pool mid-week. 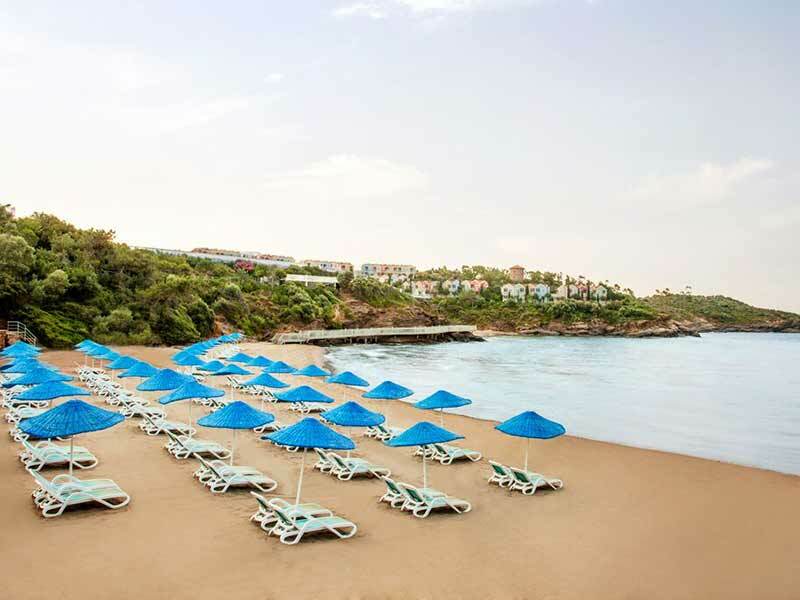 Paloma Club Sultan is located along a sandy coastline spilt in to two beaches, both awarded the Blue Flag. The Harem Beach is where guests will find the beach volleyball court, diving platform and most importantly, the water sports. For no extra charge take a canoe or pedalo out on the waves or the more adventurous can pay a small charge to be taken out on a banana boat. We were feeling adventurous. Admittedly, it was my first time on a banana boat. Do you have any idea how hard it is to get back on? I learned the hard way and I loved every second of it. 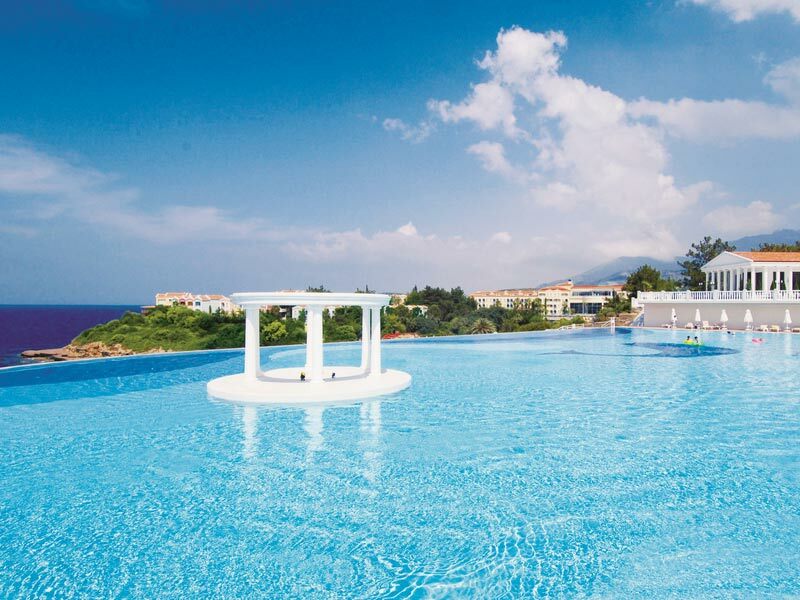 Aqua Beach is a short stride away in a secluded alcove. We set ourselves up here on our second day with our books and a bucket and spade. It is hard to relax though when you have sandcastle competitions and hidden treasure to find with your four year old nephew. All guests are provided beach towels, sunbeds and parasols on the beach for free, and you can even rent a cabana if you like. My 7 nights at Paloma Club Sultan was jam-packed full of fun, sun and memories. It wasn’t quite the ‘lay back on the beach and do nothing’ holiday I had expected. It was much better. Previous PostA Beautiful Escape to the Country!